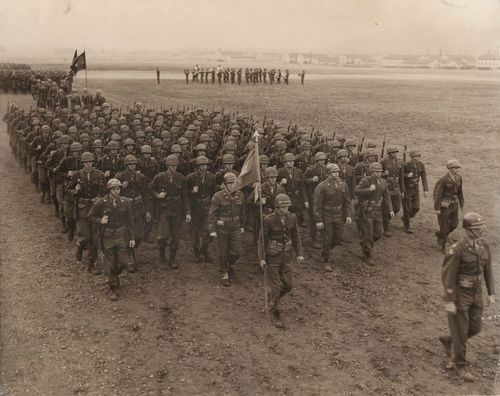 A photograph of Vern Miller and his company parading at Fort Lewis, Washington. Shortly after this photograph was taken, his company was shipped to Korea. Within months of arriving there, Miller was diagnosed with rheumatic fever and sent home for treatment. After returning to the United States, Miller received a medical discharge from the Army.